Thank you Naturipe Farms for sponsoring this post! Happy Monday! 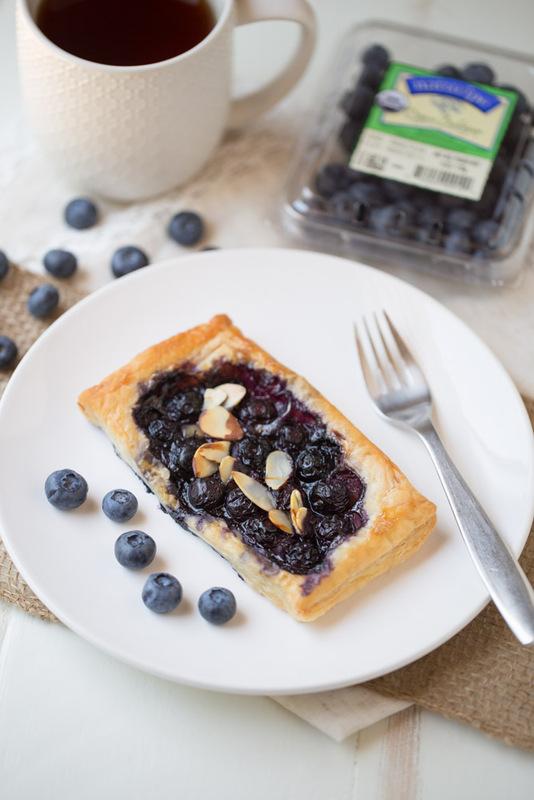 I’m super excited to be sharing these Blueberry Brie Pastry Tarts with you today! 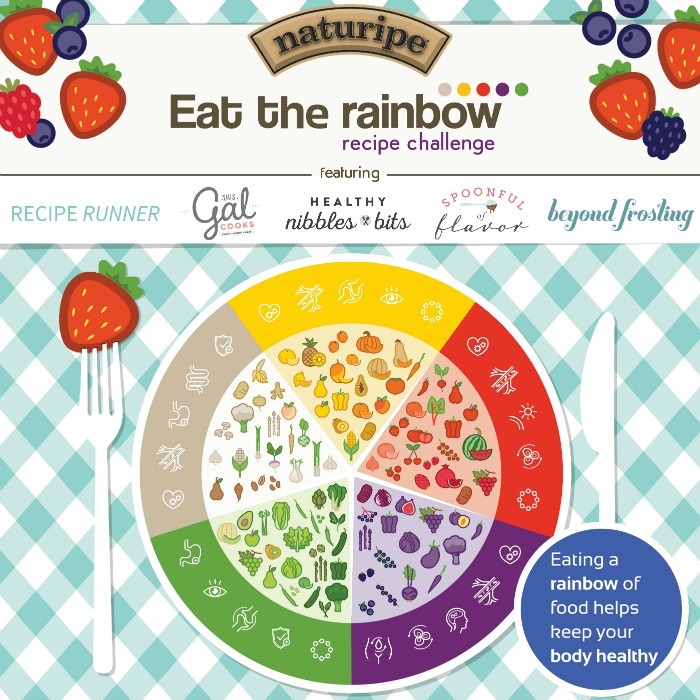 Today I’m teaming up with Naturipe Farms to help spread the word about the #EatTheRainbow Challenge. Over the next five weeks, four other bloggers and I will be sharing delicious breakfast, salad, dinner, desert and beverage recipes that are made with healthy, nutrient packed fruits provided by Naturipe farms. It just so happens that I was selected to create an out-of-the-box breakfast recipe, which is AWESOME because my favorite meal of the day is breakfast. Last year I made these Blueberry, Brie and Walnut Quesadillas, which are to-die-for. I wanted to play off of that recipe when creating a recipe for the #EatTheRainbow challenge. I decided to make these delicious Blueberry Brie Pastry Tarts, which I must say give the quesadillas some stiff competition. These tarts are GOOD. You will want to eat ALL of them. But be nice, share with friends and family. They’re a delicious way to incorporate fresh fruit into your breakfast. They’re made with fresh blueberries. Brie cheese lends incredible savory flavor to them. Honey slightly sweetens the blueberries. They’re more savory than sweet. They’re made with all natural ingredients. Even the pastry dough is all natural (Dufour brand). They make great leftovers. Ken and I enjoyed these for 4 days! They’re great for serving at brunch, meetings and parties. I hope you will give them a try and if you do, I hope you love them as much as we do! 1 sheet of puff pastry, thawed. I used Darfour - it's all natural. Cut the top off of the Brie wheel. Place the Brie wheel in your oven for a couple minutes to soften. Unfold the puff pastry dough and place it on a floured surface. Sprinkle with flour. Cut into 8 equal sized pieces. Cut a ½ inch border around each piece. Do not cut all the way through the pastry. Prick within the border with a fork. This will prevent the center of the pastry from puffing up. Place the Brie within border of pastry (over part with fork holes). I broke off pieces from the wheel and distributed evenly within the pastry border. Place blueberries over the Brie, lightly pressing to keep them in place. 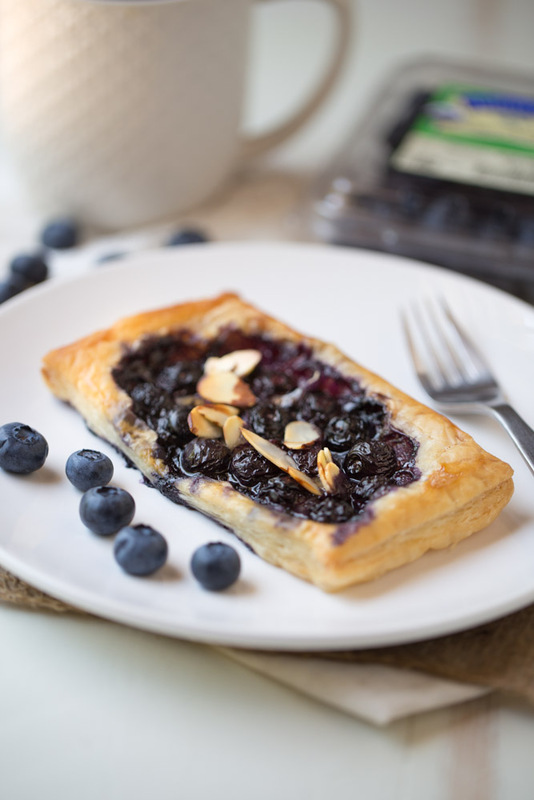 Top the blueberries with sliced almonds and then drizzle with a little honey. Whisk together egg white and water. Brush over the outer edges of pastry. Bake 400 for 20 minutes. Cool for a few minutes before serving. I love breakfast too. And blueberries! This looks delicious! What an awesome combination for a breakfast tart! I love the sweet juicy blueberries and honey paired with the salty brie, plus the almonds for crunch! This would be great for brunch! These are right up my alley. I love brie and blueberries are my fav! Not to mention puff pastry, who doesn’t love it? This looks so easy I have to try it too! I can only imagine how good these are!! Blueberries and almonds for life! Puff pasty bakes up beautifully and this is no exception! There’s so many delicious flavors going on here, especially that brie on top of the puff pastry! I’ve been all about the sweet and savory dishes lately, so I’ll need to try this soon! Mmm. brie and blueberries! I would love these tarts! Breakfast is my favorite meal too and I’d love to start my morning with these delicious tarts! 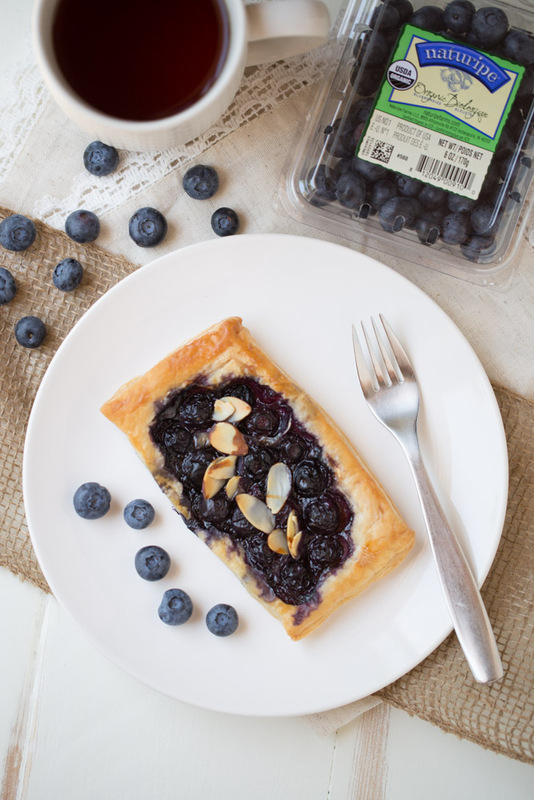 The blueberries, brie and almond combo sound perfect! Mmmm so wish I would have some of these with my coffee tomorrow morning! I fully support eating the rainbow! Pingback: Chocolate Cherry Tarts - Chocolate Chocolate and More!